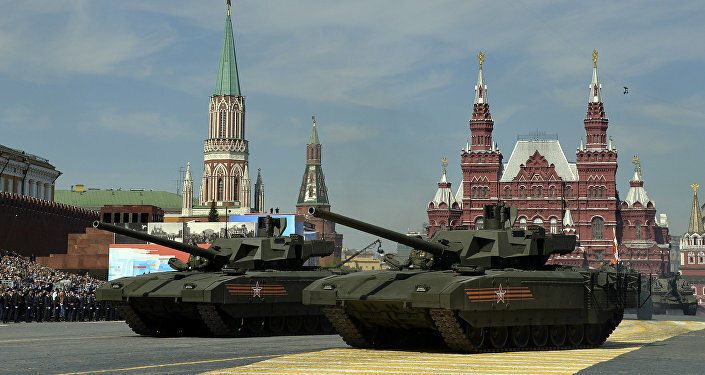 MOSCOW (Sputnik) - The Russian army will soon adopt into service the latest version of BMPT-72 tank support combat vehicle, also known as Terminator 2, an informed source in the Rusian defense industry told Sputnik. "The principal decision on the adoption of the Terminator has been made. The signing of relevant documents is expected soon," the source said. 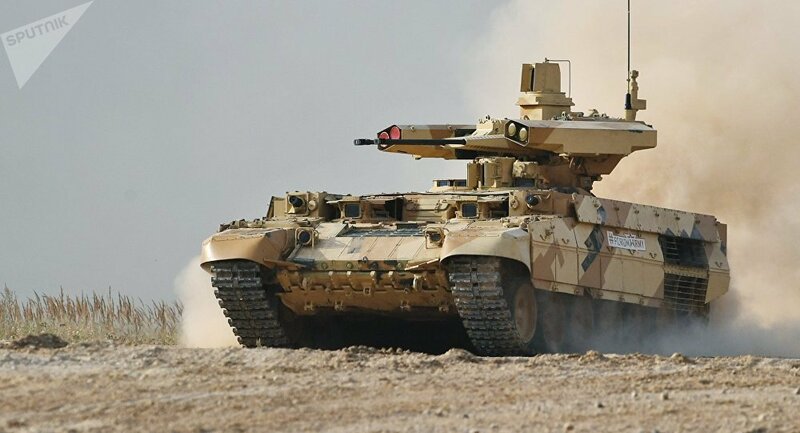 The BMPT tank support combat vehicle has been developed by Russia's UralVagonZavod Corporation. The vehicle, built on the chassis of T-72 battle tank and fitted with a guided missile weapon system, is capable of destroying enemy tanks, infantry fighting vehicles and other armored vehicles. The prototype of the vehicle has been developed back in 2001 and many years waited for the Russian Defense Ministry to assign the role for the armoured vehicle in the armed forces. Previous year, the Terminator 2 has been spotted at the Hmeymim airbase in Syria, demonstrated for Syrian President Bashar Assad by Russian Chief of General Staff Gen. Valery Gerasimov. The Syrian campaign is believed to be the first combat deployment of the armoured vehicle.